In anticipation to the Monday night English Premier League showdown between Manchester United and Tottenham at Old Trafford, one thing that stood out so glaringly was the quality of the refereeing this weekend. It was god awful! This has gone beyond us criticising referees for bad decisions. It is quite obvious they need help and that is where the Video Assistant Referee (VAR) has come in. A huge success in the World Cup and now adopted across all top leagues in the World, well except, the English Premier League. Why? Let’s call it English conservatism. ‘Oh VAR is a joke, it breaks the flow of the game’, those were the familiar words echoing out of the mouths of many of the loose-lipped pundits in England. VAR was however introduced in the Bundesliga and Serie A in the 2017/2018 season and was also introduced in the La Liga at the beginning of the 2018/2019 season. 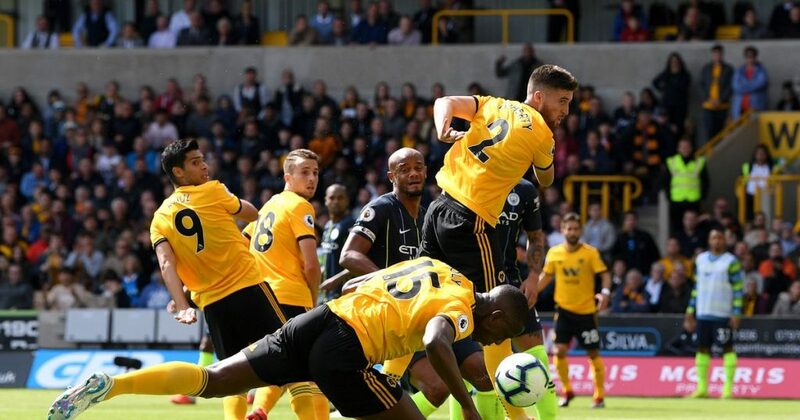 After the success of the VAR at the World Cup (more or less), it was quite obvious it will be a huge talking point this season and the calls for VAR in the Premier League became glaring after Wolves defender Willy Boly handled the ball into the net in their 1-1 draw with Champions Manchester City. Everton attacker Richarlison was sent off in the tie against Bournemouth for an off the ball incident. I frankly do not feel it warranted a sending off. Adam Smith was also sent off – another light red card. Another similar incident was between Huddersfield Town and Cardiff City as Huddersfield’s Jonathan Hogg got sent off. The climax of the event was Chelsea’s 2-1 victory over Newcastle at St. James Park on Sunday. Eden Hazard’s penalty was disputable after Marcos Alonso was adjudged to have been brought down in the box. Newcastle’s equaliser was another questionable goal as DeAndre Yedlin elbowed Olivier Giroud in the build-up to Joselu’s goal. Although the season is quite early and these results may seem somewhat inconsequential at the moment, team’s have already lost some points due to these decisions. The League’s decision to ignore VAR this season and not improve from it last season in the cup competitions will most likely prove to be a disaster and might ultimately decide the position of teams.